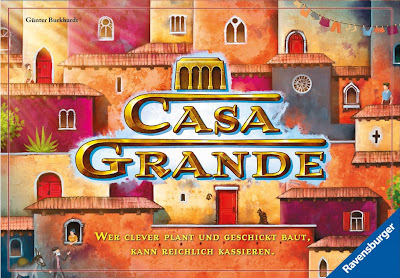 This great little family game is a German-only import from Ravensburger that arrived last week. 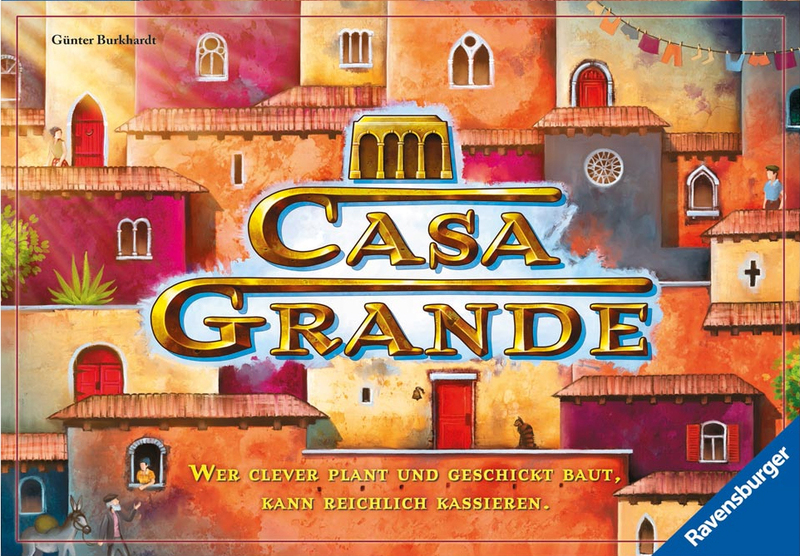 I suppose I could describe Casa Grande in detail and explain how it plays and stuff - but I kinda think the pictures will tell you all need to know about this gorgeously produced, super-fun Spiel des Jahres shoe-in. Total win. Based on the pictures . . . it plays like Torres? "Super fun" wouldn't be my description if that's the case. MUCH, much lighter than Torres. Roll a die, move a piece around, and add a block. If you can build a platform, then score some points. There's a clever bonus track that adds some tension but it's all quite light and fluffy and perfectly Ravensburger. Having said that, I LOVES me some Torres. Let me guess - the action points drive you batty? I guess the action points are part of it . . . it's just not a fun game for me and Casa is one I don't need to waste time researching.